The California Division of Juvenile Facilities (DJF) reports that 70% of youth paroled from its institutions were re-arrested within two years. 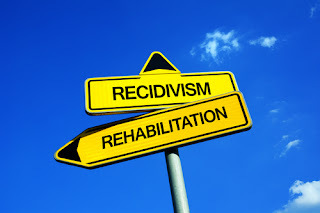 Recidivism rates of that magnitude are a severe cause of concern for many juvenile justice advocates and lawmakers, such as Assemblymember Tony Thurmond (D-Richmond). In an attempt to mitigate the risk of re-offending, Assemblymember Thurmond worked with juveniles housed at Camp Wilmont Sweeney to create legislation that mandates counties to provide reentry services for youths upon release, according to a press release. The bill, which passed out of the Senate Public Safety Committee, would lead to Juvenile Transition Centers in each county. Many young people are struggling with conditions that are mostly out of their control; mental illness and substance use is often a leading cause of re-offense. According to the DJF, of the young people released from juvenile detention centers, approximately 70% are living with mental health disorders, and more than 80% have histories of substance abuse. Juvenile reentry services can help such individuals manage their conditions and have a future free from the justice system. AB 1488 requires counties to create a workgroup to discuss and assess what is necessary for building juvenile transition centers, and how to best support reentry programs, the press release reports. The workgroups would include community organizations, law enforcement, health officials, juveniles in detention, and their families. County reentry programs would provide housing and other critical services to young people leaving juvenile correctional facilities. This bill would declare that it is to take effect immediately as an urgency statute, in order to prevent the cycle of recidivism. Attorney Walsh has extensive experience in the Orange County Justice system, having worked with the Orange County District Attorney’s Office for nine years. Today, Attorney Walsh specializes in juvenile defense and can help get the best possible outcome for your son or daughter's case. Contact Katie Walsh by calling (714) 619-9355.